Scientists hoped the first mission to Mars would reveal life on the red planet. What did the mission find? Percival Lowell believed there were canals and cities on Mars. In 1965, NASA probe Mariner 4 found no evidence of life on Mars. 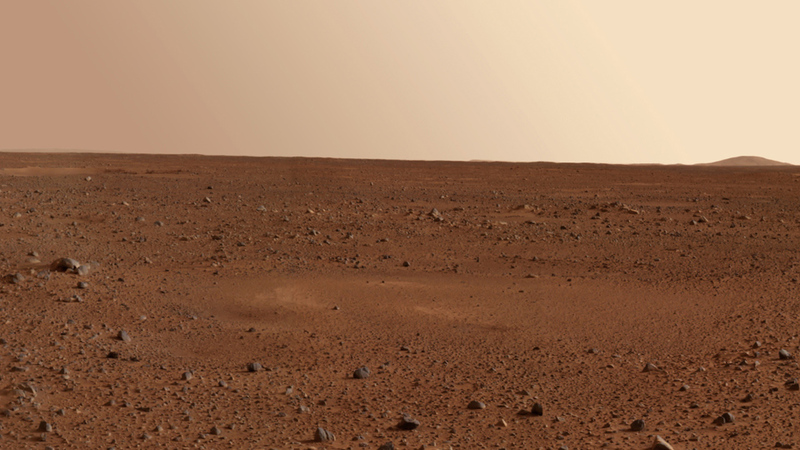 In 1976, Viking 1 landed on the surface of Mars to search for microbes. The Viking mission found no evidence of life on Mars, but the search continues. We've always had a bit of an obsession with life on Mars. Sci-fi fans in the 50s fell in love with the idea of alien neighbours, and a planet which seemed to be similar to our own. Their imaginations were sparked by an early discovery made popular by this man.